In Ms Richmond’s Grade 2 class of ’65, East Devonport Primary School, Wesley Imms got an education that set him on course for life. His young teacher had just taken up her post in Tasmania after a sojourn in the UK, where she had soaked up some edgy educational thinking. The local schools superintendent happened to be absent, and with the principal on board, there was no one to thwart her then radical ambitions. “She decided to turn the classroom into a ship for a year, and she sailed us around the world in the SS Discovery,” recalls Associate Professor Imms, from the Melbourne Graduate School of Education. Day One the kids threw streamers out the windows as their parents waved them off. 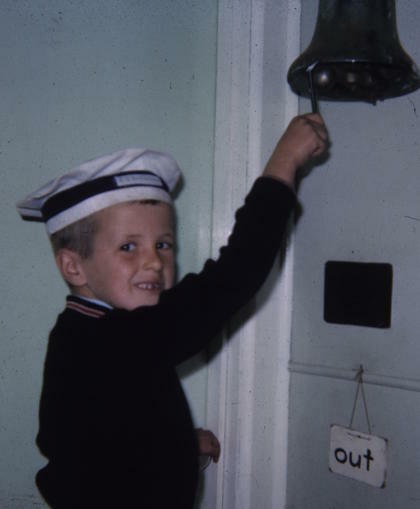 “I was the quartermaster – I had a little hat and used to ring the bell.” The purser would collect all the lunches as the pupils came aboard, passing them out when they weighed anchor for lunch. Lessons waited in every port. The next year Ms Richmond transformed the classroom into a spaceship and Grade 2 spent a year on the moon. A couple of years later they ventured deep into the galaxy, inspired by Stanley Kubrick’s epic 2001: A Space Odyssey. A few years ago, Associate Professor Imms and some of his University of Melbourne colleagues went back to interview Ms Richmond, then in her 80s, and trawled through her archive of lesson plans, slides and writing samples. They surveyed some of his Grade 2 fellow travellers and confirmed what Associate Professor Imms, drawing on his vivid memories, had long suspected. “They all said they could remember almost nothing of the rest of their schooling, but that year was crystal clear,” he says. “They could remember almost every day. We had that one year where a teacher really went out of her way to manipulate the environment and to introduce a pedagogy that was much more fluid and much more interdisciplinary.” The result was some transformative deep learning. Associate Professor Imms is project lead investigator of the Innovative Learning Environments and Teacher Change Project (ILETC), a $2 million Australian Research Council Linkage Project that will run for the next four years. It gears up just as another related ARC project – the Evaluation of 21st Century Learning Environments (E21LE), also overseen by Associate Professor Imms – comes to its end. These two cross-disciplinary projects bring together a University of Melbourne team of researchers from the Melbourne Graduate School of Education and the Faculty of Architecture, Building and Planning, through the Learning Environments and Applied Research Network (LEaRN). Between them, the two enterprises aim to build tools to assess the educative value of modern, innovative classrooms; and then to challenge teachers on how they might use these spaces to their full potential. It’s an overdue investment in evaluating what works and doesn’t in the 21st century classroom – not least given concerns about Australia’s record of slow, steady decline across most educational standards. 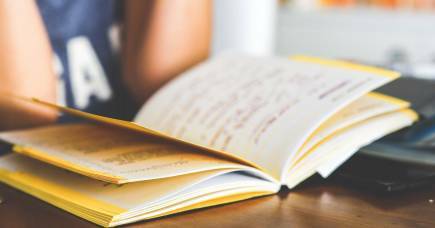 Indeed on the day Pursuit interviews Associate Professor Imms, the latest NAPLAN results reveal literacy and numeracy are stagnating and writing skills in years 7 and 9 have significantly decreased. What’s causing this shift? Do we blame the teaching, the environment, the adequacy of schools funding and resources? Digging into these questions is a central concern of Associate Professor Imms and his collaborators – educators, architects and designers – working within LEaRN. Inevitably the backlash over NAPLAN includes calls from some quarters to “sit the kids down and read and write and do sums”. But it needs to be integrated into a flexible suite of teaching styles and contexts if students are also going to graduate with the skills demanded in the changing workplace. Our Lady of Assumption Primary School, Sydney. 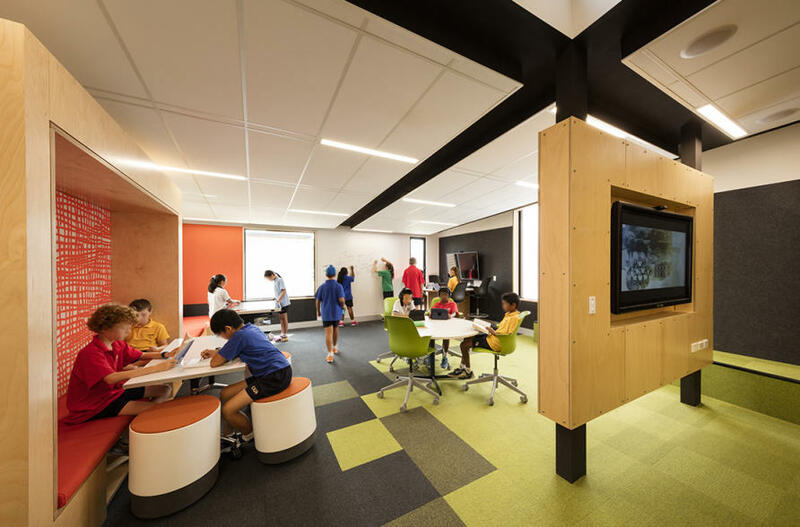 A single classroom with moveable furniture and different types of spaces encourages student choice, playfulness and independence. Architect: BVN. Picture: John Gollings. The next generation of workers, he says, “have to be collaborative, have to access information very quickly, have to work in teams, have to be very lateral in the way they approach problems, so they require a learning environment that builds those skills”. 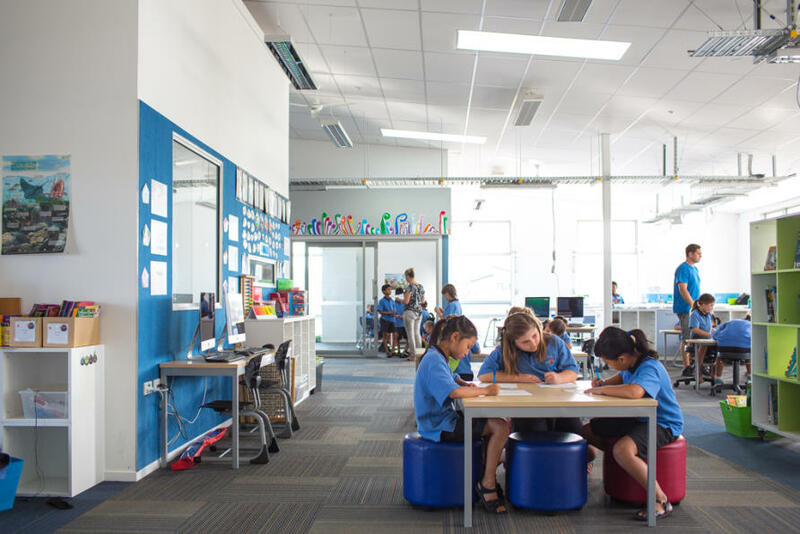 Classrooms have been transformed by shifting fashions since the 1970s – free-range layouts; learning hubs and beanbag drop zones; moveable walls, to name a few. But there has been remarkably little effort by researchers anywhere to unpick the relationships between the hardware, the software, the infrastructure, the teaching and the student report cards. This is the territory being explored by the pair of ARC projects, the information gleaned being fed back into classrooms, teacher training, and also to the professionals and companies designing, building and equipping schools. Marist College, Bendigo. Sliding doors, writable surfaces and adaptable furniture-flexible spaces enable collaborative group learning. Architect: Y2 Architecture. Picture: Bill Conroy. 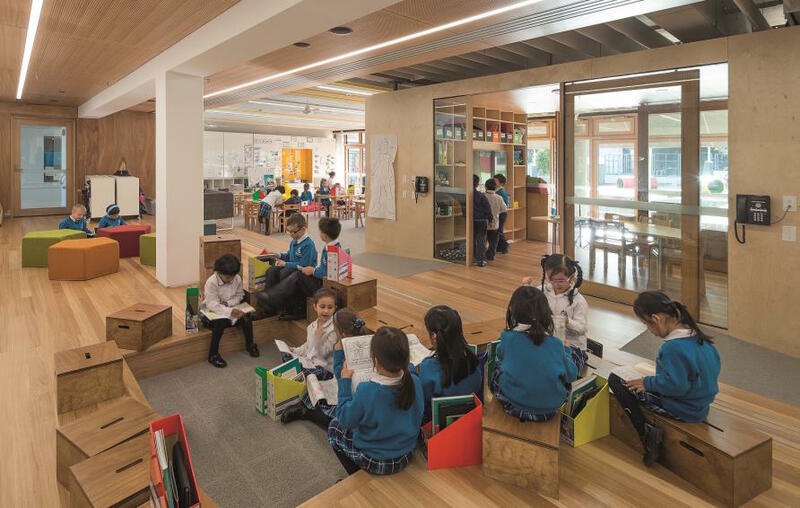 Richard Leonard, director of architecture and design firm Hayball – long-time schools specialists, and industry partners in both ARC projects – says technological drivers and shifts to collaborative teaching have thrown educational culture on its head. Caulfield Grammar School, Melbourne. A shared hub with integrated technology, variety of spaces and acoustic measures to reduce noise. Architect: Hayball. Picture: Dianna Snape. So what are we learning about what a 21st century “classroom” should look like? For a start, it’s not a classroom, says Associate Professor Imms, it’s a learning environment. “I’m still an advocate of lecture theatres and of didactic teaching spaces, because there are times where it is more efficient to teach big groups, where a teacher just has to say sit down, write this down, memorise it and give it back to me. 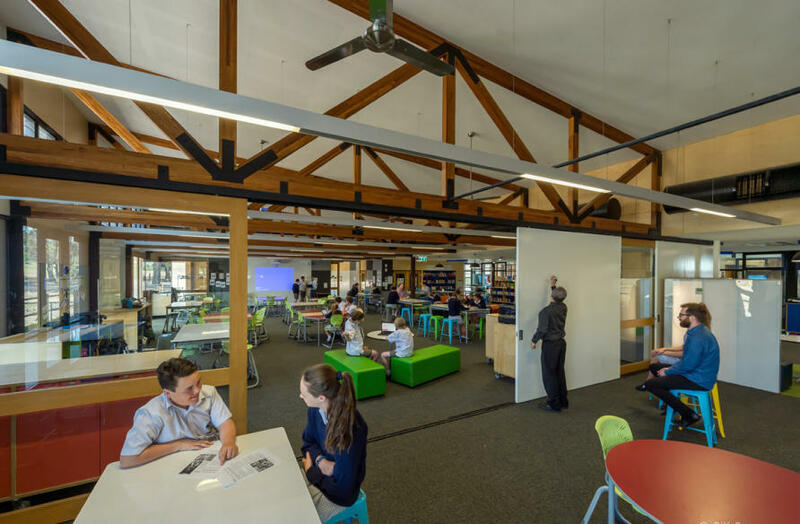 The key development from the first ARC project – evaluating learning spaces – is an online portal that performs like a teaching tool for educators, asking them questions about their school, its structure and layout, needs, purposes, ambitions. Stonefields School, Auckland, NZ. Shared spaces enable collaborative teaching and student directed learning. Architect: Jasmax. Picture: Alex de Freitas. “What they are really doing is evaluating the space in terms of the teaching and learning that happens within it,” says Associate Professor Imms. The ARC teams are delving into resolving some of those questions, for instance by tracking teachers and students at one school across a year, surveying and comparing results in traditional, mid-level modern (student-centred, clusters of tables) and highly informal classrooms (beanbags, whiteboards around the walls, no teacher table). Watch this video to see how your school can help shape the future of learning spaces. One interesting snapshot result is that the kids in the flexible spaces had the best outcomes in their mathematics; and one teacher who had been a die-hard opponent became an evangelical advocate. The ILETC project is a massive undertaking, involving more than 6000 schools across Australia and New Zealand. Having dug into some of the environmental questions through the earlier ARC research, Associate Professor Imms says the project is moving into a much more contentious area – “challenging teachers about their own teaching in these spaces”. The first step is to explore how teachers are using these fast-proliferating innovative environments. Arguably, many are teaching just as they always have. “We believe many aren’t utilising all the benefits those spaces give, often because of their mind-frames. They have a particular view of what good teaching looks like, what works, and they refuse to deviate too far from that. “So this is an intentionally provocative project, in that we are going out to teachers and saying ‘your students might benefit from a shaking up’,” says Associate Professor Imms. To find out more about this project see here.